“Merkaba” is a Zulu word which means a space/time/dimension vehicle. Its activation is a process of consciousness evolution that transpires one to transcend from the third-dimensional world into higher dimensions. 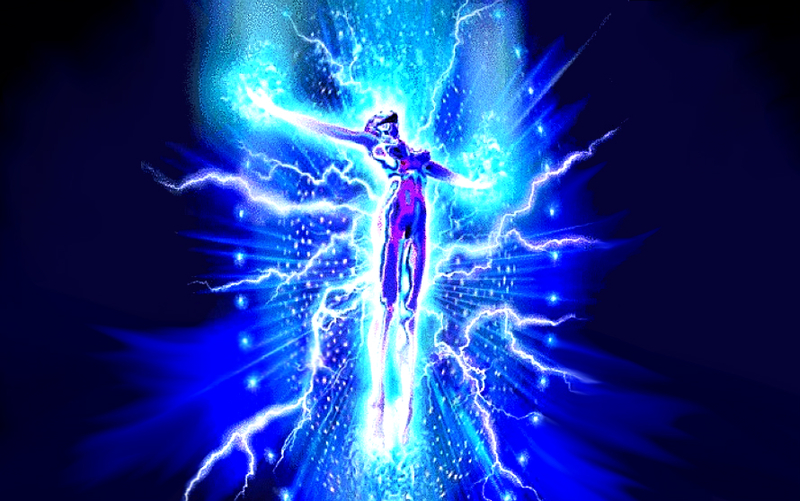 In the process of ascension, as we detach from past trauma and evolve our consciousness to higher dimensions our being becomes lighter and our vibration gets higher. In short, Merkaba is the beginning of Enlightenment. Being enlightened is being totally aware and having your spiritual fields filled with immense love. Your soul is fueled by abundant light which awakens your Merkaba or light body. However, Merkaba activation might initially bring out kind of uncomfortable symptoms. But don’t worry. Just flow with them because the process is worth it. 1. You feel intense sadness from time to time for no reason. The light will heal your past. This healing process will make all your sadness purge out. As a result, you will feel sad for no apparent reason. This sadness will become a part of your daily life. Don’t give in, and instead, see that sadness as a phase. Once your healing is done, you will be free and will lead a happy life. 2. You have a hard time at work. If your work is not something you are passionate about, you will start to feel that your work is a hindrance to obtaining a happy and fulfilling life. You will slowly crave to do only the things that you truly love. Making money for the sake of having it no longer attracts you. As a result, you will be torn between going on or quitting because the internal conflict is getting stronger. Because Merkaba is creating a new bond with you, you will feel isolated from other people whether they be friends or loved ones. At this point, you feel you don’t need the company of people. You might feel alone and disconnected from other people even if you are surrounded by them, because you are not emotionally connected with them. Your emotional strings are taking a rest for the Merkaba activation to proceed because they might act as something that weighs you down. After the Merkaba activation is established you will be emotionally recharged and be able to reconnect with others on a much deeper level. 4. Your sleep patterns change. While your body is activating, your sleep patterns change significantly. It’s because your being spends more energy on creating the light body. At times, you wake up in the middle of the night and start to cry for no reason. You may even experience nightmares or vivid dreams that appear to be real. 5. You feel like you are floating. A floating-like feeling is one characteristic of Merkaba. It is as if some force from the sky is pulling you up towards the sky. Your body feels so light as if you are floating. This experience makes you feel trapped between two worlds. 6. You might get surges of thoughts. As you evolve your consciousness to higher dimensions it might download big chunks of data and you might experience it in form of big thought streams. This makes a lot of people anxious and scared. However, there is nothing to worry about because it is a sign that your consciousness is evolving and you start to see a bigger picture of reality. In such situations the best thing to do is let the thoughts flow and just take the role of an observer. Do not judge these thoughts just let them pass, like a wave. Mindfulness meditation and breathing techniques help. 7. You feel more connected to your consciousness. Your consciousness is starting to have a better communication between its layers. You may even catch yourself remembering things stored in your unconscious mind. Past trauma and suppressed memories might resurface. All of this is a needed step in the process to help you let go of things that weigh you down in order to evolve. As you deal with past trauma and suppressed emotions you will raise your default state of being to higher states of existence. You will start connecting with higher layers of your consciousness. Feeling this connection is not only an amazing experience but a bliss too. If you feel some or all of the above symptoms, then you are in the process of Merkaba activation. Be aware of the signs and never take it for granted because Merkaba is still activated even when you are not aware.